The Senate approved legislation that would deliver the first installment of Harvey aid, raise the debt ceiling and fund the government for the next 3 months, Politico reports. That includes about $22 billion in disaster relief funds for FEMA. The package will now head to the House, which could vote as early as Thursday night, per CNN. The backstory: This plan is essentially the one floated by Nancy Pelosi and Chuck Schumer in a meeting yesterday with Trump, and such a short term debt ceiling raise was opposed by top Republicans and Treasury Secretary Mnuchin. 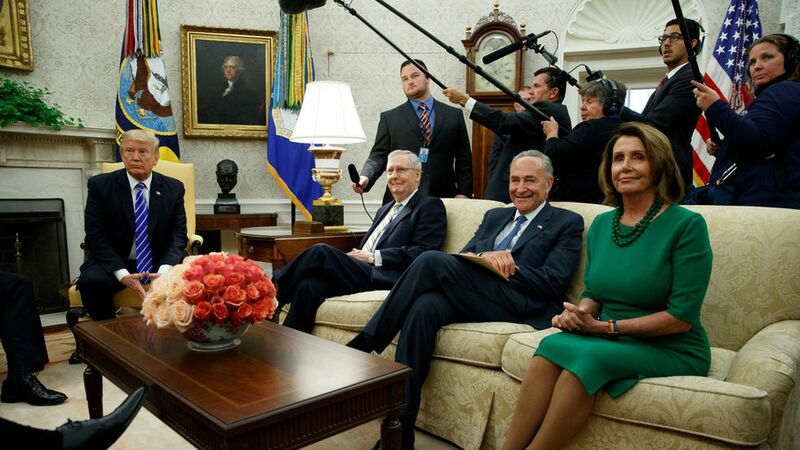 Trump sided with the Democrats, and now the plan is moving forward. The tally: 80-17, with all 17 nos coming from Republicans.